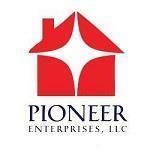 For over a decade Pioneer Enterprises LLC has offered it's Property Management Service in Maryland. Our key Services include complete turnkey rental turnovers, Residential Leasing, Rent Court, Rental Repairs, Rent Collection, Inspections and many other Rental Management activities. A solid track history of a decade in Property Management Services. We boast our delinquency rate to be below industry average in MD. Pioneer Enterprises, LLC is a privately-owned company dedicated to building value and substance through the management and leasing of real assets. 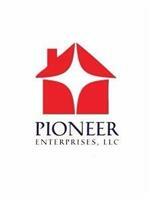 Pioneer Enterprises manages close to 200 residential properties in the Baltimore metropolitan area. We developed and manage a customized program that focuses on landlord satisfaction, cost-efficient operations and tenant retention. Our wholly integrated package of property management services is designed to reflect client goals and market dynamics, and adds to bottom-line performance. We staff the very best Maryland leasing professionals who are trained to think like an owner and who take pride in resident gratification. We strive to significantly raise the standards of residential property management, one interaction at a time. Pioneer Enterprises KNOWS Maryland! Our deep, local market property management knowledge is vital to landlord contentment and community success. You’ll find our properties are not only maintained to the highest quality, but are also in many and varied Maryland locales. We invite you to explore our selection of rental properties across the state of Maryland. Our convenient online rental property search provides information on Pioneer Enterprises’ homes for rent statewide, including properties specializing in specific requests such as utilities-included, housing supplements and pet-friendly rentals. Our greater Baltimore metro and Maryland property management services feature landlord and tenant services that add convenience to our customers’ busy lifestyles, including online document signing delivered via email, ACH/wire transfer payments made directly in landlord bank accounts, online tenant applications, credit card-accepted rent payments and prompt maintenance response. Pioneer Enterprises has the Maryland resources to offer each property owner the uppermost quality in marketing, property conservation, high tenancy rate, financial reporting and support to assure the best possible management of your investment. Pioneer Enterprises believes in community investment for the state of Maryland. No property is too big or too small for us – even with challenging properties. We endeavor to screen and place the best residents in each rental property. We believe that the right occupant makes a good neighbor. In turn, a good neighbor helps transform a troubled region into a desirable community. As we demonstrate respect for our residents and provide helpful and appropriate locations, we decrease vacancy loss, property damage, lower maintenance costs and increase collections.